Blog Quick Quotes: Chalkboard Ink Technique with Crystal! Chalkboard Ink Technique with Crystal! Hello there! Crystal here playing with Quick Quotes newest PowderPuff Chalking Inks! 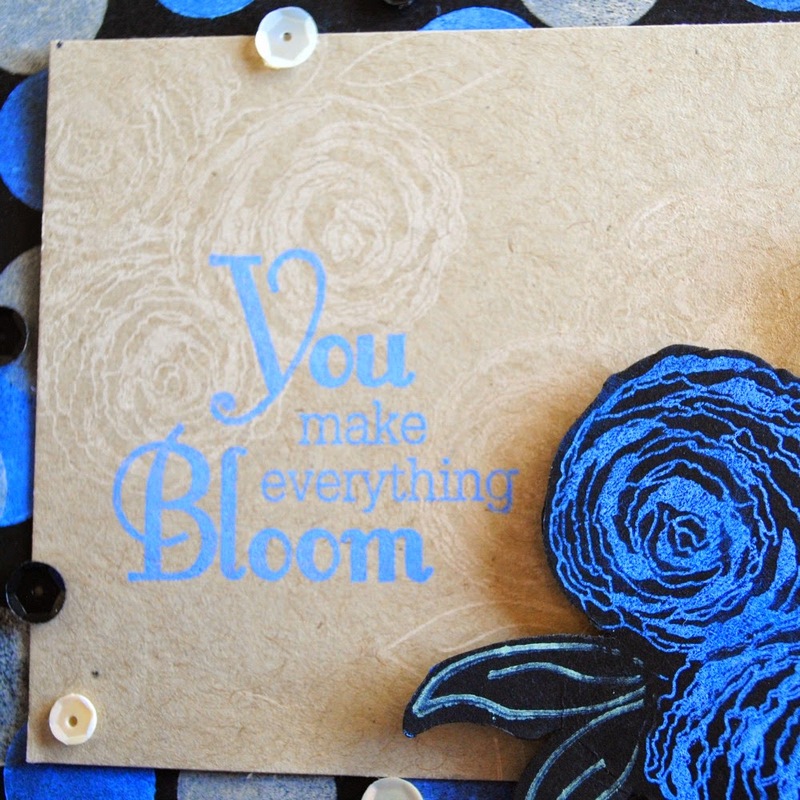 Today I decided to create a card with a chalkboard effect without using chalkboard paper! The PowderPuff Chalking Inks stamp beautifully on black card stock. This card was made using three of the newest Powderpuff inks. Hydrangea, Warm Sand and Seafoam. 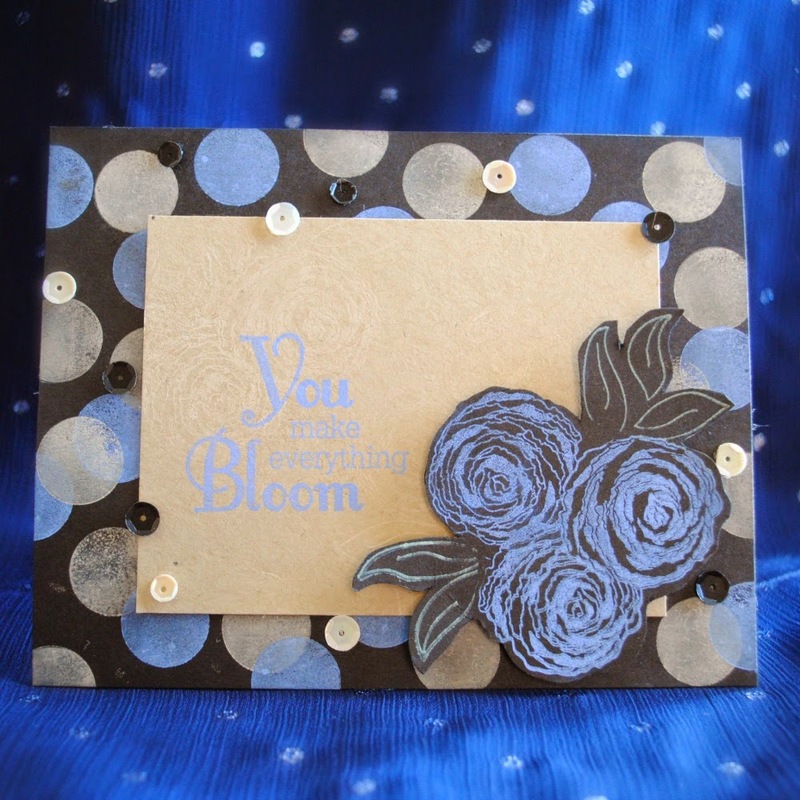 This card was very easy to make, and the chalking inks give it a wonderful effect. 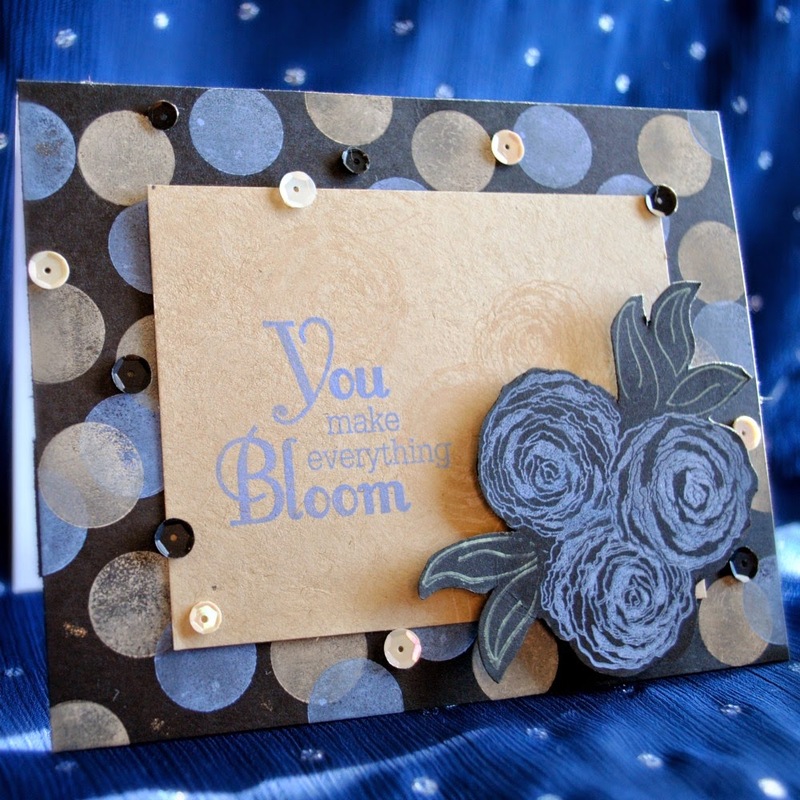 Begin by stamping your base black card stock with the shape of choice. I used a circle stamp with Powderpuff Chalking ink Hydrangea and Warm Sand. Wanted to make a note that Powderpuff Chalking Ink in Warm Sand is the same color of a classic kraft paper. I chose to stamp PowderPuff Chalking ink in warm sand on my kraft paper, then stamp my sentiment with PowderPuff Chalking ink in Hydrangea. On a separate piece of black card stock, I stamped my flowers in Hydrangea. The leaves are stamped with Seafoam chalking ink. I glued everything together and added some sequins! Thanks again for stopping by and have a fabulous day! What a beautiful card! 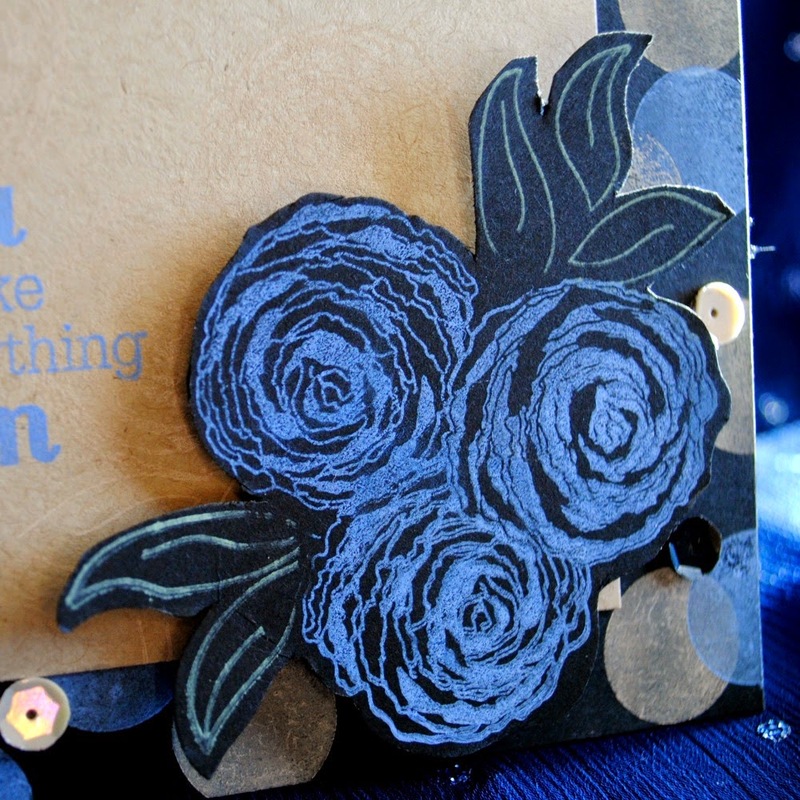 I love the Hydrangea stamped on the black card stock. Just beautiful!! !